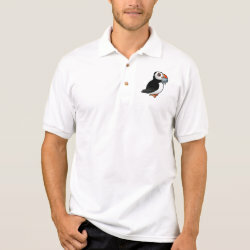 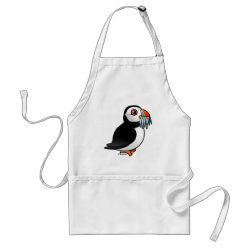 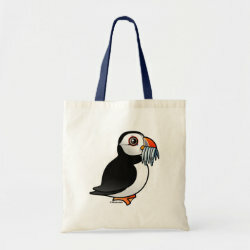 Atlantic Puffins are endlessly photogenic, especially when they are gathering fish for their young. 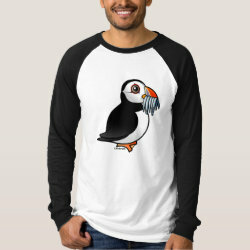 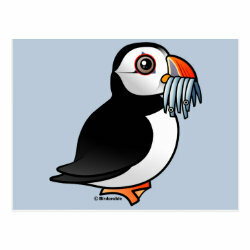 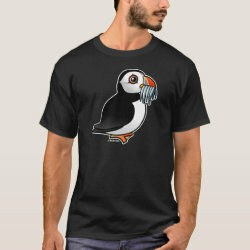 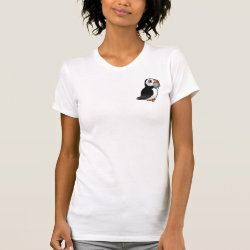 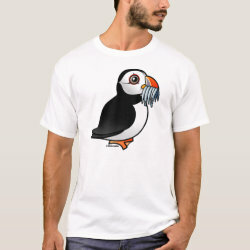 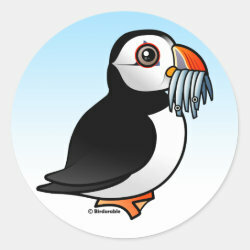 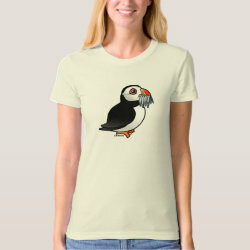 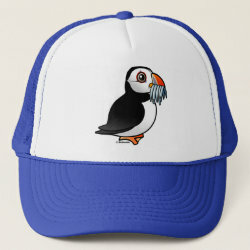 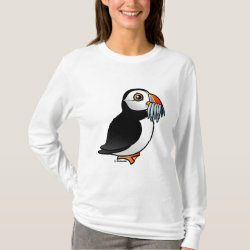 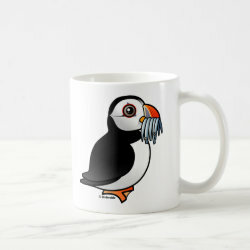 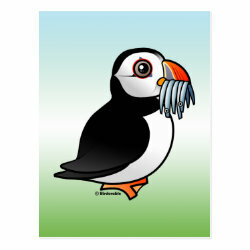 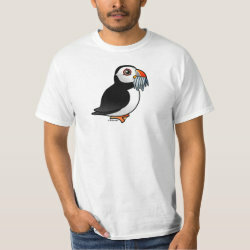 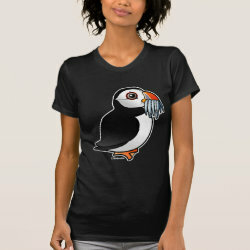 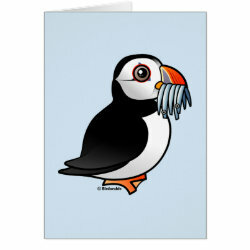 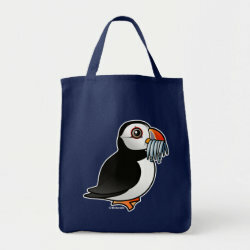 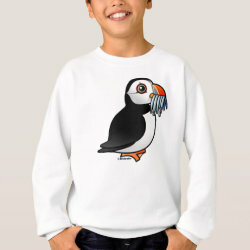 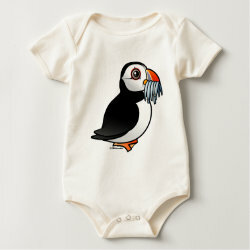 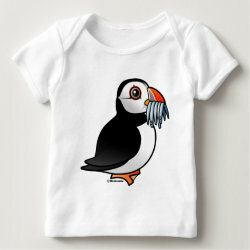 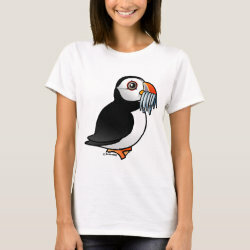 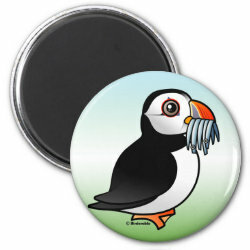 This original illustration from Birdorable captures the iconic image of an Atlantic Puffin with a bill full of sardines - how cute! 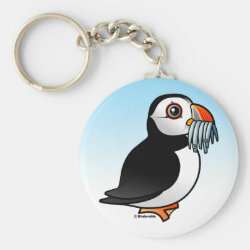 This is great for anyone that loves these unique, beautiful and animated seabirds.